Move-in Condition in Steamboat Lakes - This gorgeous three bedroom North Routt home sits along a cul-de-sac on over an acre lot. The kitchen is chic and modern with cherry cabinets, granite tile counters, copper accents and wonderful dining area set amongst wooded views. Warm pine floors throughout main level lead into the living room ideal for relaxing and gathering beside the wood burning fireplace with log mantle. The master suite is apponted with an expansive walk-in closet with shelving and window allowing beautiful nautral light. The master bath is nicely done with double slate vanity, oversized river rock shower with double head. 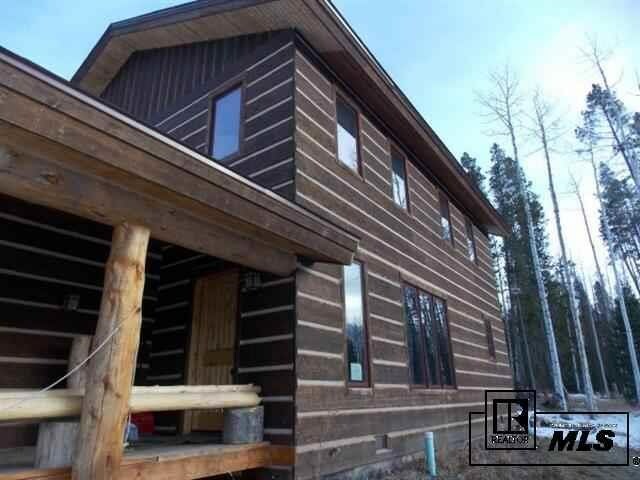 Two car garage, entry mudroom/laundry room and open deck off living room complete this exceptional offering close to Steamboat Lake and National Forest Access. A gorgeous place to spend summer or winter just 45 minutes from Downtown Steamboat Springs, Colorado and the world class Steamboat Ski Area.